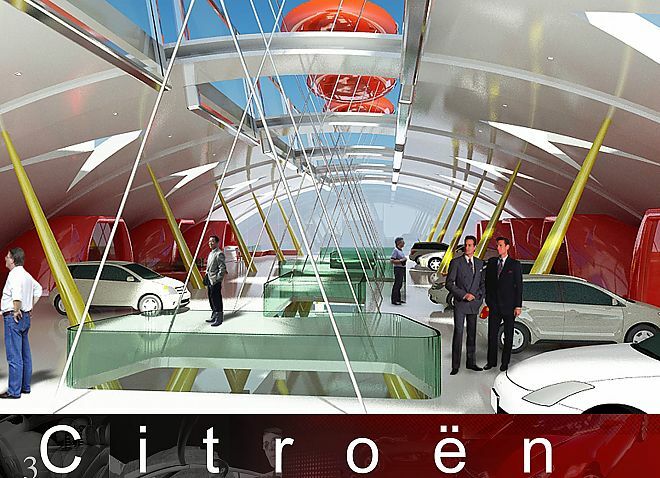 Internationally selected Architecture Competition by Citroen in Paris, France 2009. 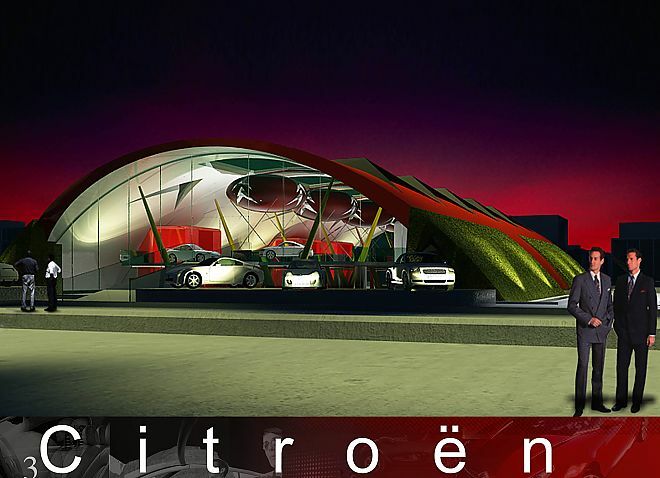 The Citroen Showroom incorporates a multitude of innovative green features into its design. The buildings half cylinder shape allows for cross ventilation, rain runoff capture, and expand ability. 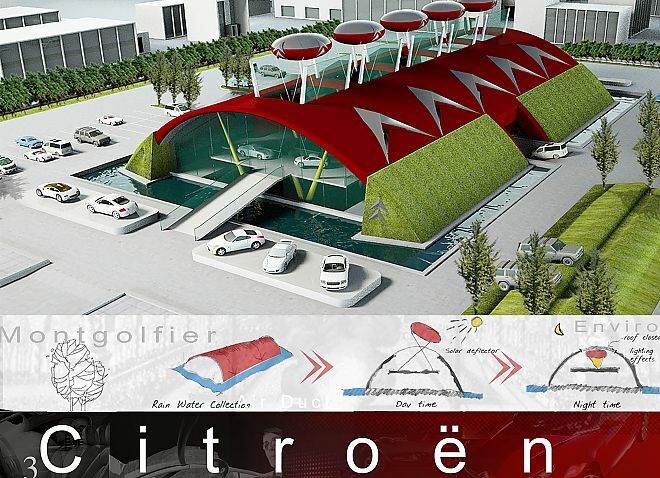 It is dug into the ground, is partially covered by grass, and the central portion of the "Cabriolet" roof is retractable so that heat can be dissipated into the earth as well as into the sky. Solar balloons can be raised through the roof to generate electricity and shade for the interior on sunny days.